When I posted my ‘Khwaab/Sapna’ songs list, Anu commented that, by reading the title of the post, she thought it was about dream sequences. It wasn’t, of course—it was a list of songs which literally contained the word ‘dream’ in the first couple of lines of its lyrics. 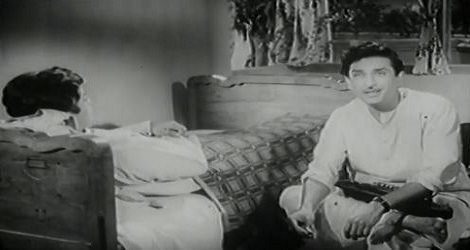 And while I did write in that post about the different links between songs and dreams in Hindi cinema, I didn’t mention that I had another post lined up to follow the ‘Khwaab/Sapna’ songs list: the dream sequence songs list. A ‘dream sequence’ is part of a cinematic production that is separated from the rest of the story—by devices such as graphics (think spiraling), fogging, music, etc—to depict an event that does not really happen but which a character may imagine. 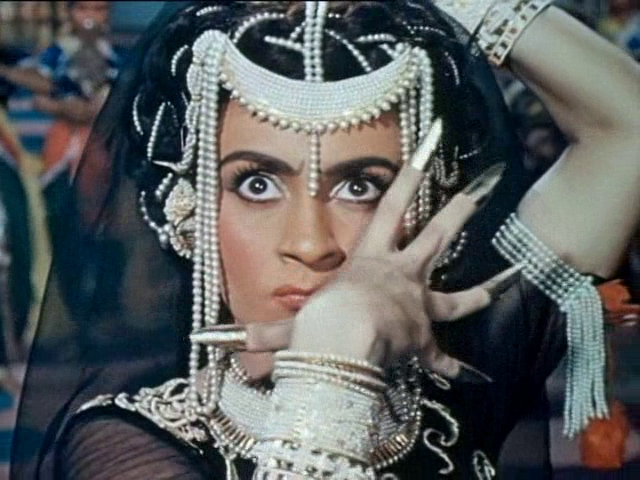 Dream sequences allow, in Hindi cinema, all sorts of interesting possibilities: grand spectacles, enormously enlarged sets, things that aren’t possible in real (or reel) life. Lovers who are forbidden, relationships that cannot be. 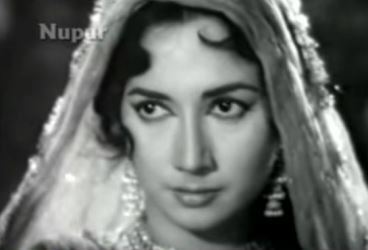 There are dream sequences aplenty all through Hindi cinema, ranging from the very opulent one in Aan, where Nadira’s character sees herself switching places with her rival, played by Nimmi—to the many songs that take the form of a dream sequence. 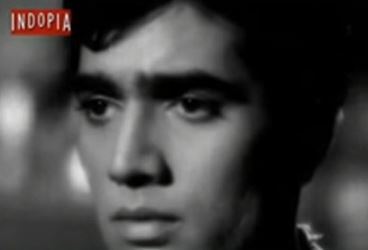 Not nayan, not naina, not chakshu or any other Hindustani/Hindi/Sanskrit word for eyes, but aankhen. Because, just as hair are praised, so are eyes. And unlike hair—inanimate, more often than not, and compared perhaps only to the dark velvet of the night, or the spreading black of a storm cloud—eyes have a life of their own. They convey infinitely more than hair ever can, from love to fear to hatred: they cannot disguise the soul, the emotions. In November last year, friend, fellow blogger and soul sister Anu came to India on work—and actually came all the way to Delhi to meet me (now if that isn’t flattering, I don’t know what is!) 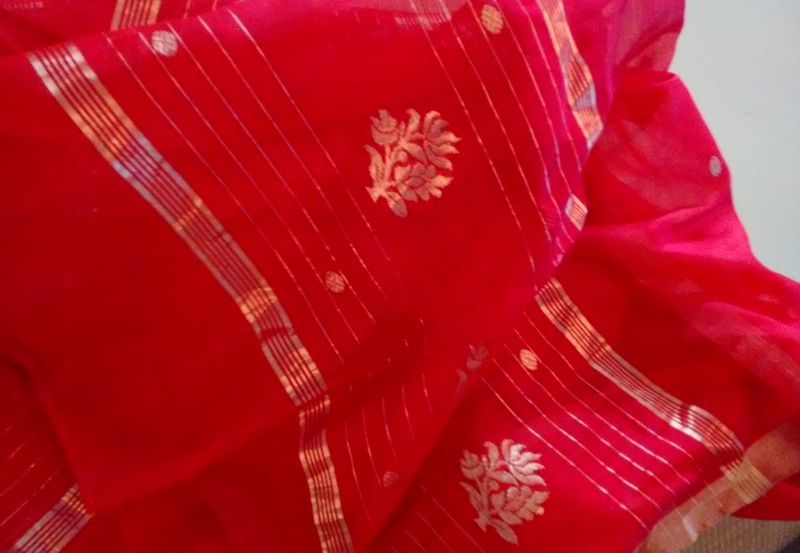 We spent two days chatting, comparing notes on everything from books to our families to recipes; wandering around Chandni Chowk; buying jewellery and sarees and whatnot… and, as a gift, Anu bought me this absolutely lovely dupatta from Mrignayani, the Madhya Pradesh State Crafts Emporium on Baba Kharak Singh Marg.